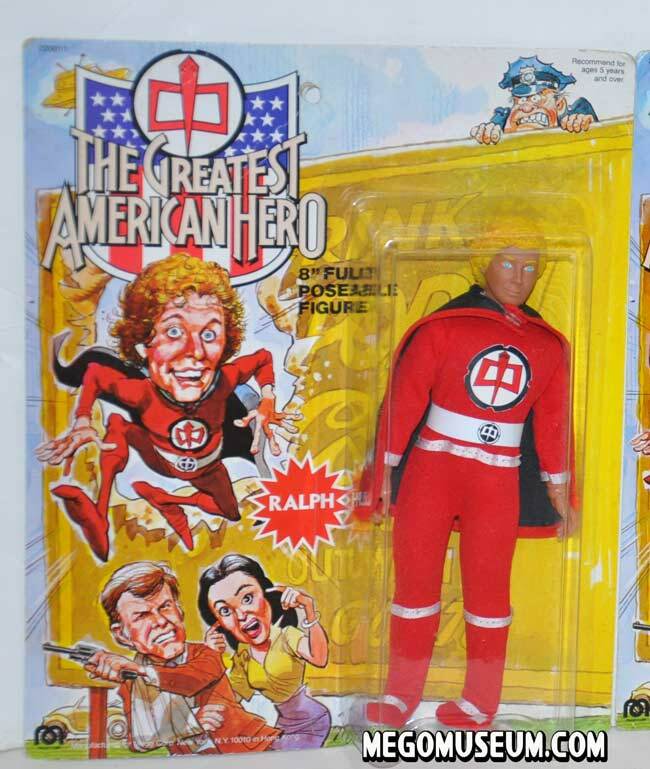 Prototypes for the eight inch Mego Greatest American Hero line are extremely rare, This is one of the first two Ralph prototypes that were found at a flea market in a dollar box, one such figure ended up in the collection of Toy Collector Extraordinaire John MacGonagle. 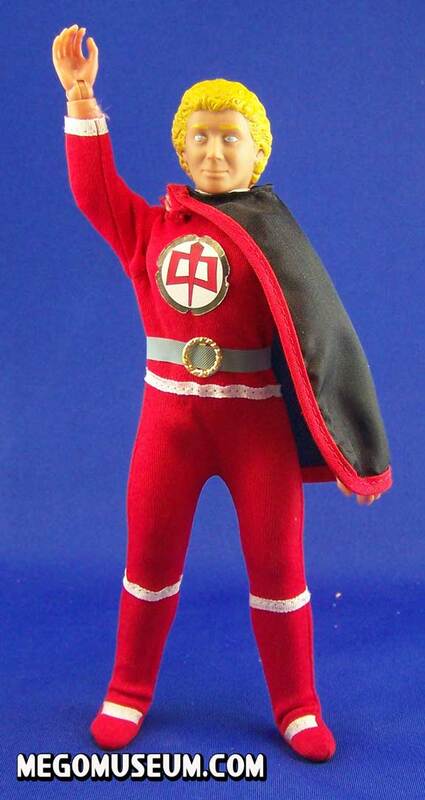 It later ended up in the hands of John Bonavita, who shared it with the world with his ground breaking Mego books. In fact, Bonavita claims this figure was the thing that convinced the publisher to go ahead with his well known series. Above is that example, note the finished belt with symbol. 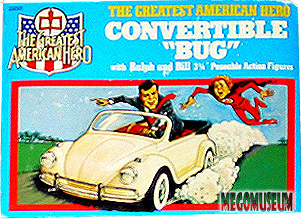 Thanks to Bonavita’s educating the world, several more Ralph Hinkley’s have surfaced coming former mego employees and sometimes, their children! It’s estimated that are there 5 known but perhaps there are close to ten examples out there. Thanks to good our friends at Heroes West Coast, we have what is generally referred to as an embarrassment of riches. 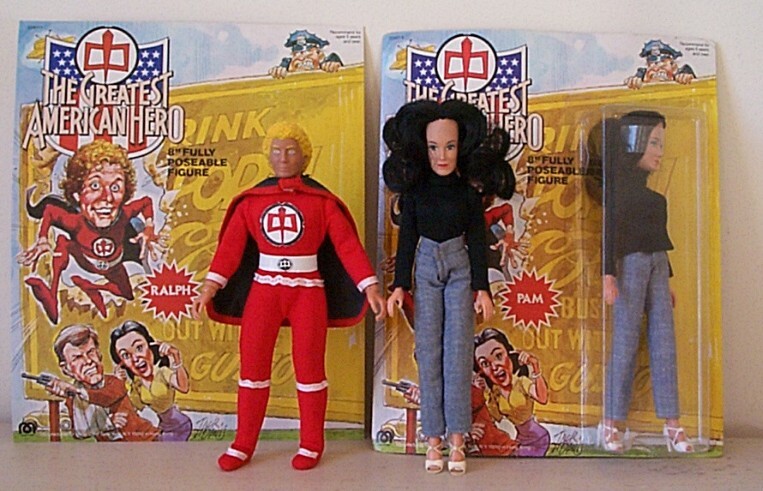 Not one but three different stage Ralph Hinkley action figures, two early prototypes and a finished, carded production figure. You can tell that MOC Ralph is a production sample because of his head paint and his belt is show accurate unlike the other two figures. 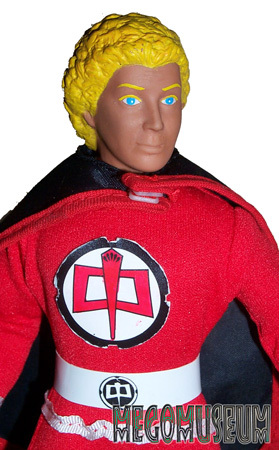 Prototype Ralph has a crude hand painted head along which is also much harder than the other example posted below. Note that this card also features a revised logo from the earlier version featured below. . This second example is the most recent to crop up, a former salesman sample it differs slightly from the example above, the biggest difference is the belt, which is greay and features a buckle. It’s postulated that this is an earlier sample as this was found in the same lot as the Bill Maxwell and the Walking Twiki Prototype. Ralph is waving to show something interesting, the divet in his hand. 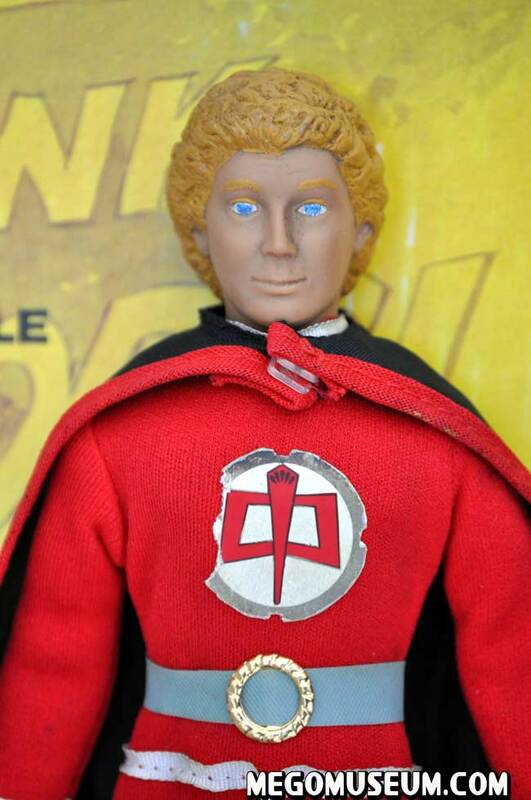 As pointed out by Roberto Ligotti, this trait is shared by several mego prototypes, including Bill Maxwell, Web Handed Aquaman and the Logan’s Run Characters. Ralph from the back, note the plastic snaps, commonplace for so late in the game. 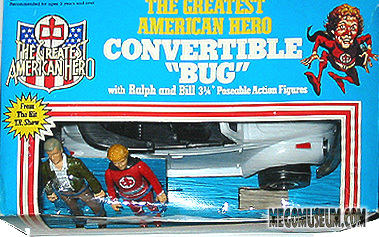 What’s unique about this Ralph is it’s the only known carded example, the loose cards exist, but they are rarely with a figure. 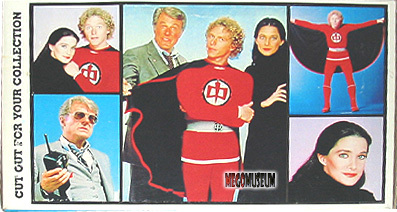 The card is much larger than the WGSH packaging, more in line with the Dukes of Hazzard. 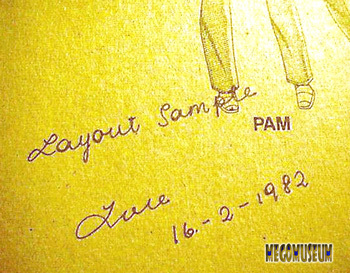 What adds more evidence to the concept that this is an earlier sample is the card itself, unlike the Pam figure below,this card doesn’t feature a backer. It is merely a printed litho glued to a cardboard backer. The bubbles (there are two) are held on by scotch tape and not factory sealed, this truly is a sales sample, possibly used at toy fairs or buyer presentations. 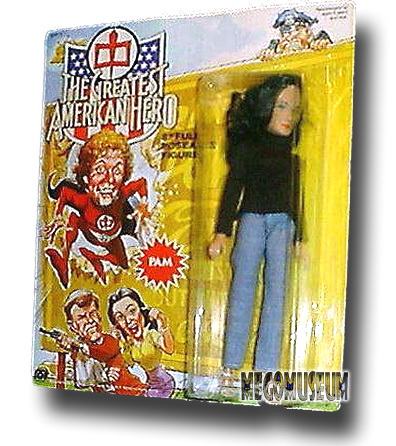 It’s estimated that there are at least 2 loose and 2 carded Pam figures out there currently. Another terrific discovery this year provided by our friends at Heroes West Coast, this is a carded Bill Maxwell sales sample recently purchased from a former department store toy buyer. The sample gives great indication as to what the finished product would have looked like. A close up of the figure, note it’s differences to the earlier Maxwell sample found. 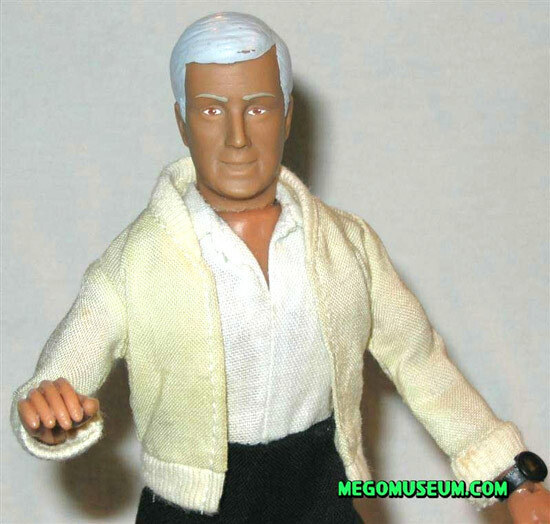 The big Mego discovery of the year hands down goes to the recent find of an original Bill Maxwell sample figure from Mego. 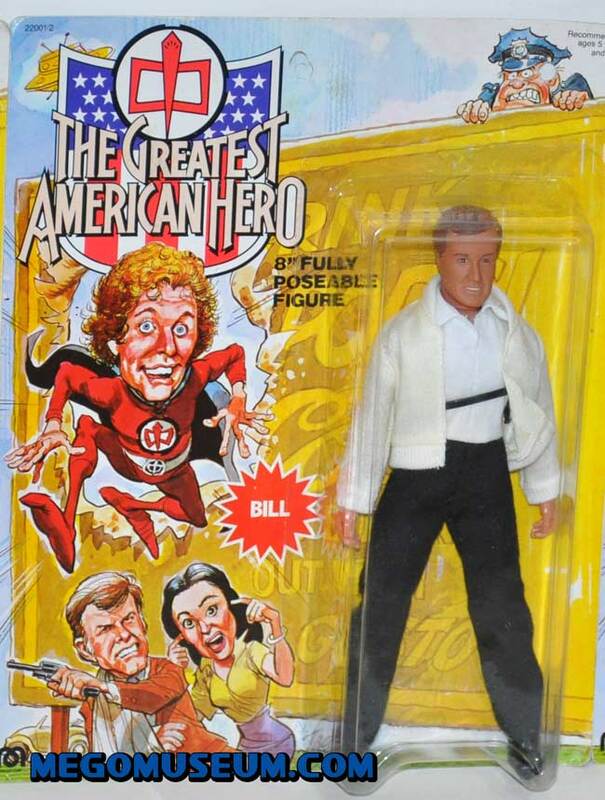 While other characters such as Ralph and Pam have been uncovered in small numbers, the figure of Bill (played by Robert Culp) has been largely feard lost. 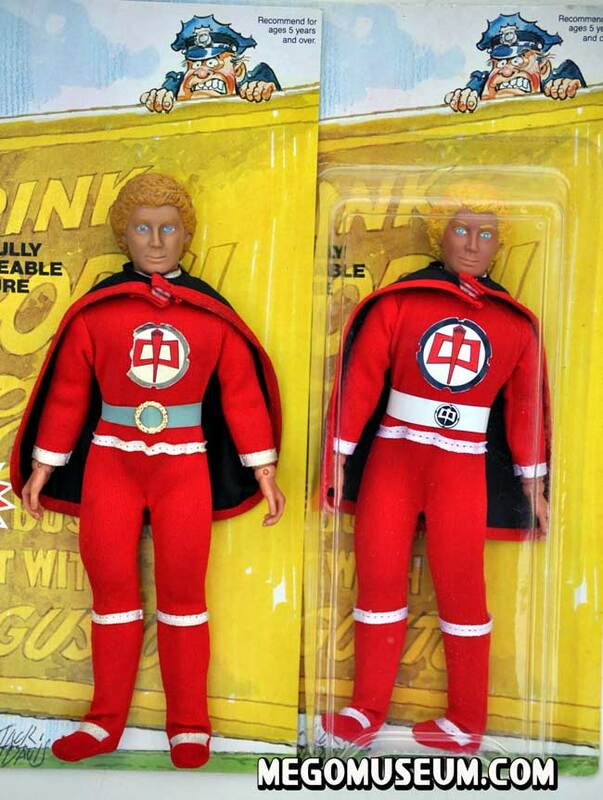 Now, MegoMuseum has an indepth look at the first reported Bill Maxwell figure. 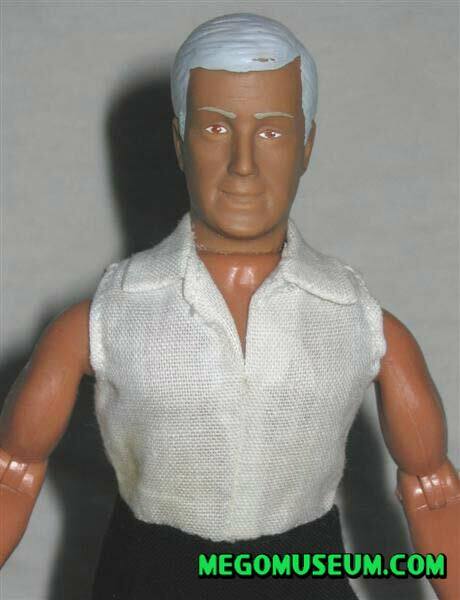 The hair appears to be handpainted and while photographs white it is actually gray. 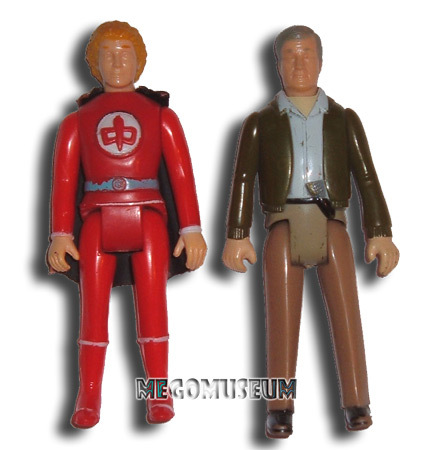 What’s interesting is that if you look in the Mego 1982 catalog, both the 8″ & the 3-3/4″ Bill figures are shown with brown hair. But the actual production 3-3/4″ Bill was produced with gray hair. 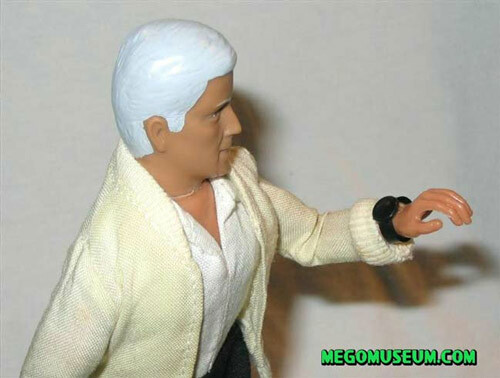 Maybe this explains the gray hair on this figure. .
Bill sans his jacket, much like Fonzie or Frankenstein (or most characters with a jacket), he has no sleeves.The material of all the clothing (jacket, shirt and pants) is very similar to the material used for Mego Frankensteins pants. The collar, waistband and cuffs of the jacket are a thicker ribbed material. 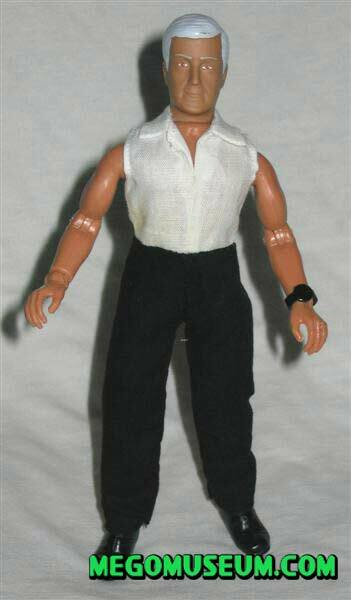 The shirt is sleeveless & is sewn to the pants. All the stitching is factory machine sewn. The back of the shirt has 2 sets of the square plastic snaps, one at the neck, one at the waist. Bill from the back, his pants and shirt are a one piece. Bill sports Duke boots and a Chips watch. 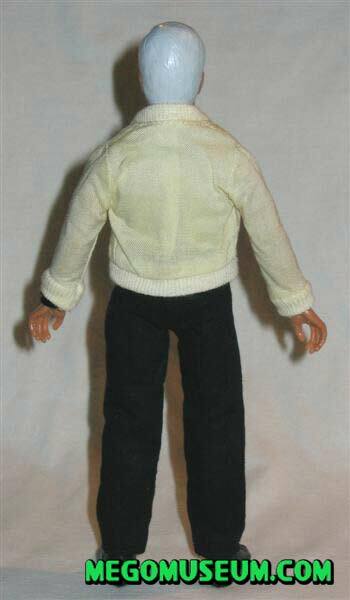 The body is a standard Type 2 Mego body with black lower torso. 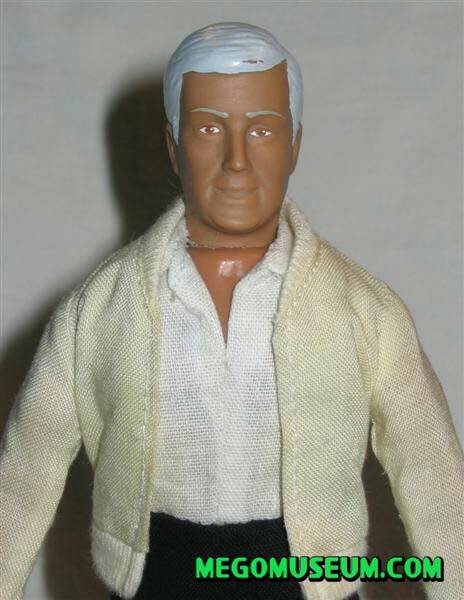 A closeup of the head, a good likeness of actor Robert Culp. 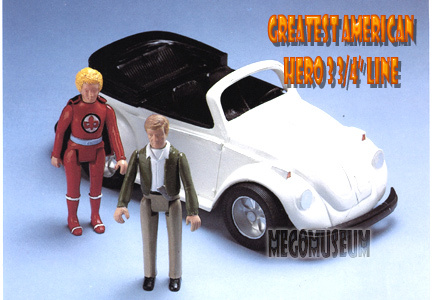 Shot of the Bill figure from the 1983 Mego Catalog..
New York- Mego Corp lucked out when it snared the licensing rights to “Dukes of Hazzard” before that TV series became popular and it’s hoping lightning will strike again with “The Greatest American Hero”. 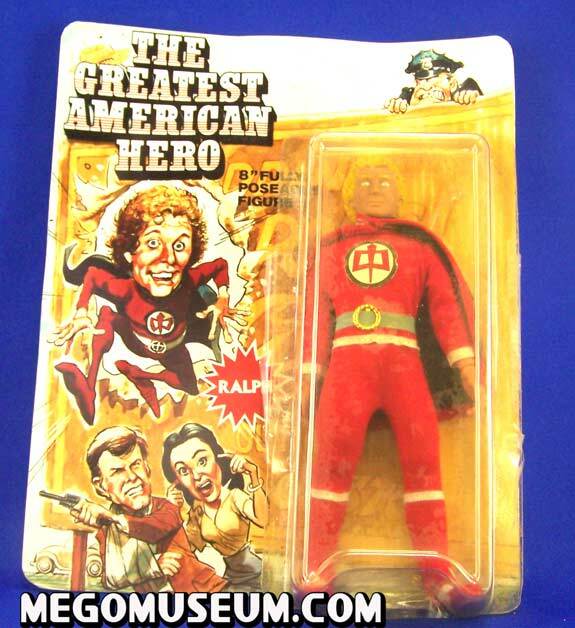 (Mego VP of Marketing Alan) Chernoff said Mego will have it’s “Greatest American Hero” action figures out in the shortest possible time span, six months, giving it an October retail introduction. 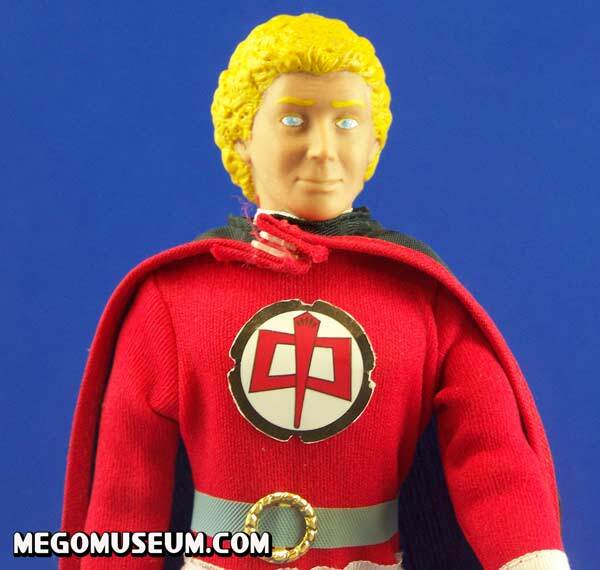 To capitilize on the series while it is hot, Mr Chernoff said Mego will use bodies from unsold “”CHiPs” figures and costumes from past Superman figures. 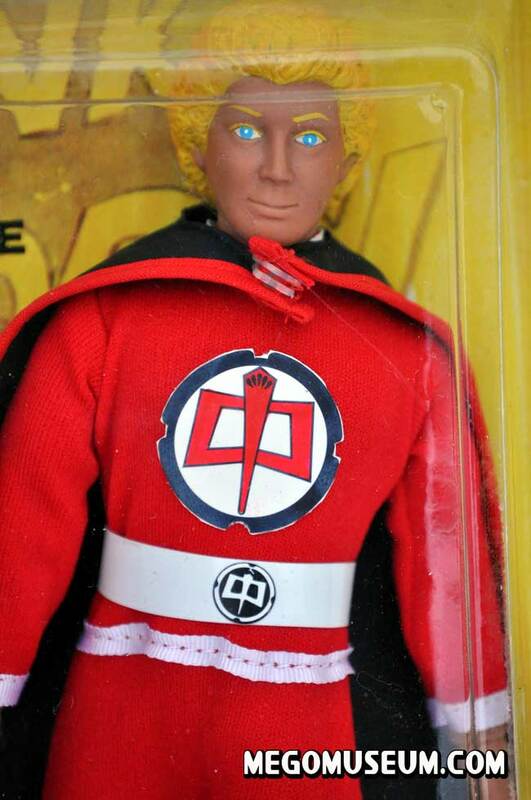 “CHiPs” is a Mego’s other TV property and not nearly selling as well as “Dukes” the exec said. 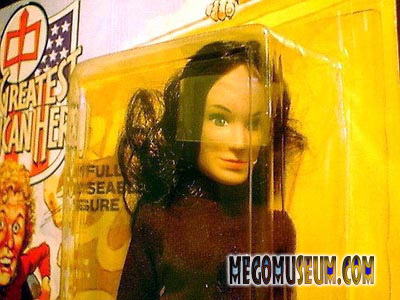 Reusing old dolls figures for new characters is not new, for example, Mr Chernoff noted that Mego reworked it’s Diana Ross dolls into current Coppertone Candi.